Paper and Ink Playground: Summertime, Birthday time! 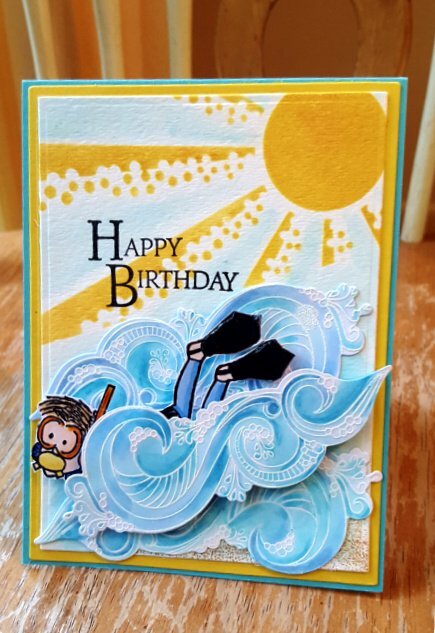 Well Gwamma...your card is awesome...love that snorkler behind that very cool Wave!!! What a sweet holiday it sounds like... And your card takes the cake. It is so perfect for a snorkeller. I am sure he loved it. Those waves are really coming out. Very cool card.